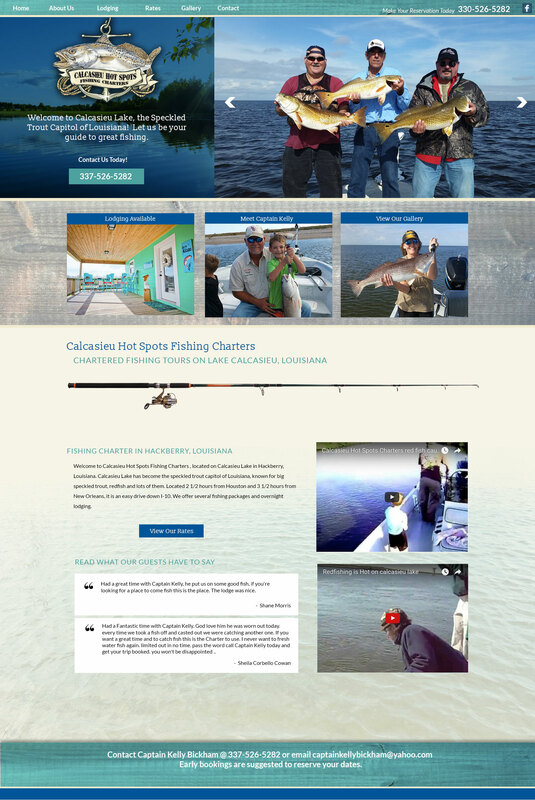 Welcome to Calcasieu Hot Spots Fishing Charters , located on Calcasieu Lake in Hackberry, Louisiana. Calcasieu Lake has become the speckled trout capital of Louisiana, known for big speckled trout, redfish and lots of them. Located 2 1/2 hours from Houston and 3 1/2 hours from New Orleans, it is an easy drive down I-10. We offer several fishing packages and overnight lodging.